Today: Pairing wine with vegetables might be tricky, but the rewards greatly outweigh the risks. My heart goes out to asparagus. Artichokes too. And don’t get me started on the Brussels sprouts. Why? To be fair, there are inherent qualities to some vegetables that have a funky effect on the wines that you drink with them. Artichokes, for example, contain a chemical that makes everything taste sweeter. Other vegetables, like asparagus and Brussels sprouts, contain a compound that makes wine taste metallic. Do those inherent qualities in some vegetables make wine pairing tricky? Potentially. But is it worth a shot? Absolutely. The thing to remember: above all, how the vegetables are prepared matters quite a lot. 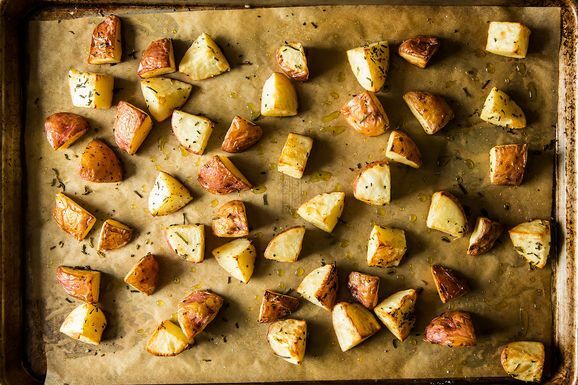 Here are some suggestions for pairing the them with wine, seamlessly. Roasting vegetables adds another layer of flavor and complexity, which acts a bit like a safety net for wine pairings at risk of running awry. (Bonus: never use a recipe to roast said vegetables.) Because of its savory character, Grüner Veltliner is almost always a good bet. It’s a crisp white that often embraces the variety of vegetables. Washington state produces some lovely examples, and Austria is home base for this increasingly popular wine. Try the 2010 Berger Grüner Veltliner. When you pair wine with dinner, consider the ingredients other than the vegetables themselves. In the recipe for Sunday Roast Chicken with Vegetables, for example, the chicken is cooked directly on top of the vegetables. The juices from the meat will season the vegetables and influence their flavor, as will the lemon and thyme. Let them influence your wine choice too. Dishes like this one can stand up to heartier wines. Don’t go so far as Cabernet Sauvignon or Syrah, though -- their strength of flavor is likely to overpower the vegetables. Stick with something on the lighter side, such as Pinot Noir or Gamay. Domaine Coudert is a reliable producer from Beaujolais in France, home to the Gamay grape. What are your favorite wines to pair with vegetables? Tell us in the comments below. Roasting (grilling, sauteeing, etc.) vegetables (cabbage, carrots) with caraway seeds? Try an Alsatian white (riesling is unimpeachable [I hope that doesn't sound negative toward peaches], gewurtzraminer my personal fave). Seasoning vegetables with lavender? An evening for rose. Stewing vegetables with rosemary? 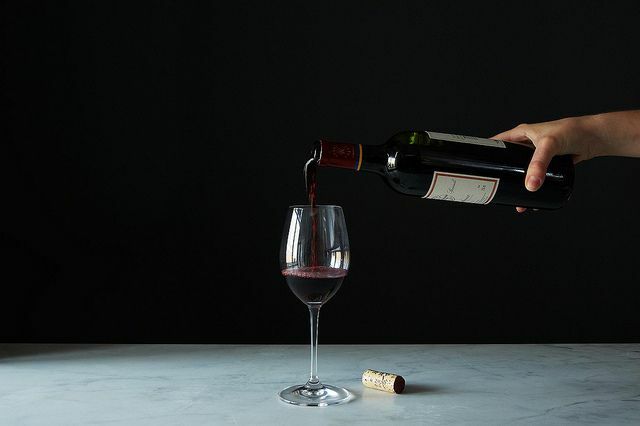 Choose a fruity red, perhaps Italian (or one might even risk a Cabernet). Oh, and when all of this seemed new and mysterious to me, I relied heavily for Deborah Madison's treatment of "Wine with Vegetables" in Vegetarian Cooking for Everyone (pp. 11-13). These days I live in the Finger Lakes, and I must say the regional wines pair brilliantly with seasonal produce--no surprise.